SCVHistory.com | Law Enforcement | Judge Deals with 'Undesirable' Boys in Acton, 1909. Judge Deals with 'Undesirable' Boys in Acton. Laid Away for Two Weeks. 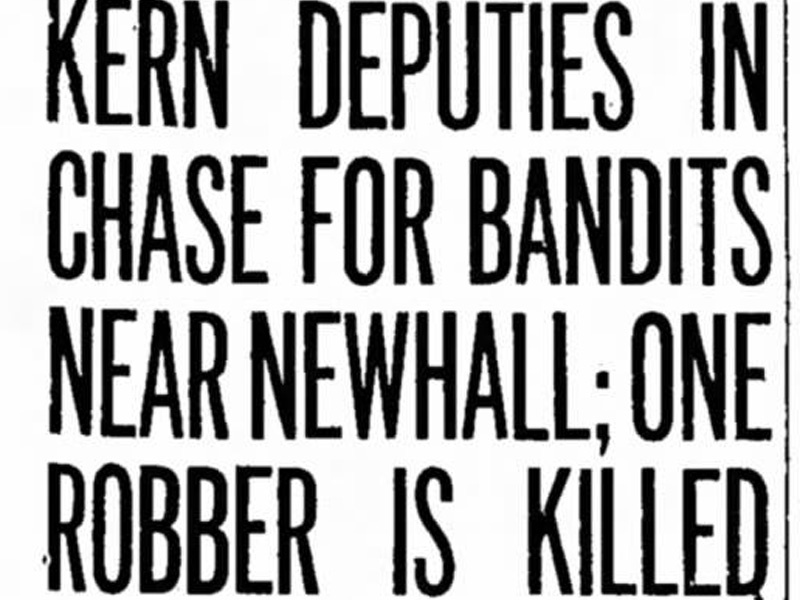 Los Angeles Times | July 2, 1909. Judge Wilbur issued an order yesterday in relation to Louis and Francis Eickleberry and Ernest Newton of Acton that will likely prevent "shooting up the town" for the next two weeks. A lot of testimony was taken yesterday, tending to show that the boys are undesirable citizens in many ways, and it was suggested that the elder Newton and Eickleberry get together and agree upon some one physically able to not only command but keep the peace in Acton. At the conclusion of the case such action was suggested by the court. With the opening of the afternoon session of the court it was announced that the fathers had agreed upon a peace officer, but the man selected refused to serve. "Have you no church out there?" asked the court. "We have no church, but we have a congregation, and it meets at the schoolhouse," was the reply. "There ought to be some strong minister with a good right arm as a conservator of the peace in Acton," remarked the court. Judge Wilbur then ordered that the three boys should be sent to the Detention Home for two weeks, but afterward modified it so as to allow Louis Eickleberry to go free in the custody of Attorney frank Adams; Francis Eickleberry was sent to the Detention Home for the same period, and Ernest Newton was placed in the custody of Mrs. Mary Bloomfield of this city, who has taken considerable interest in the case.